After the long haul from Ushuaia to Peninsula de Valdez and then to Mendoza, I took a much needed two week break to visit family in Buenos Aires and Rosario, leaving the bikes stashed at an acquaintance’s house in Mendoza. Tom took the opportunity to explore the Andes around Mendoza for the first week, avoiding the city (not to mention family!) chaos of Buenos Aires. He joined me in Rosario for the second week. Since mid-June, I’ve only spent 10 days with my family (at Christmas time, between Australia and flying to South America), so having the opportunity to see them in Buenos Aires was perfect. 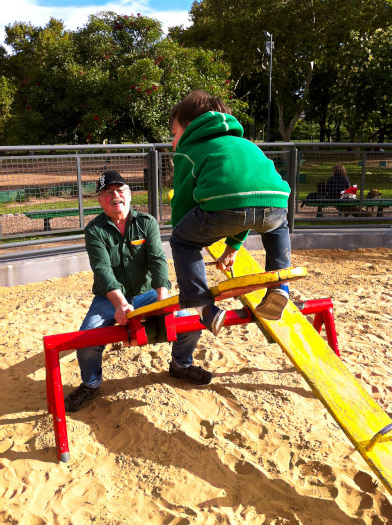 Although we all came down with the same bug and spent much of the time in bed or around the diningroom table at the apartment my parents’ rented, we were still able to fit in some fun at the park, visit with relatives, and enjoy a couple outings to our favorite B.A. restaurants before it was time for me to head back to Mendoza and continue northwards. The food quality wasn’t as spectacular as I remember it being in Buenos Aires, but it was still good, and very cheap. In Argentina in general we could often get huge toasted sandwiches with veggies, eggs and cheese for only $2 bucks, and surprisingly, I’m still not sick of them. On another occasion, Tom ordered a “parrilla” (a zoo of animals on a small grill brought with red hot coals directly to the table), two salads, bread, dips, a couple empanadas, and a glass of good Mendoza red wine that turned out to be massive (half liter, at least, of which I could only drink 1/3), for only $11 bucks total. 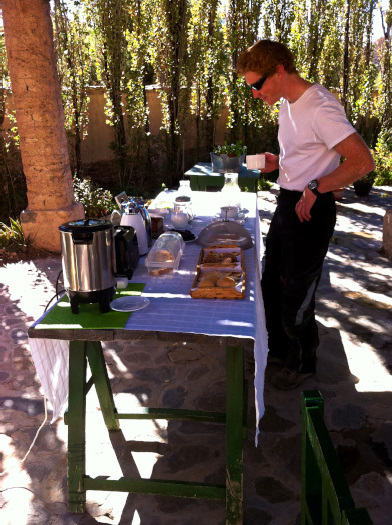 In the northern Argentine province of Salta, we stayed at an incredible oasis in the mountains called Hostel La Paya, which was one of the best culinary experiences we had in Argentina. Not a hostel at all but a grand old adobe house built in 1877 in the mountains, it is now run as a hotel and winery by an elderly couple and their adult daughter. It was a bit of a splurge given our small budgets, but worth every penny and ridiculously cheap for the value. For $65, we had a beautifully appointed and quiet room, a gigantic master bathroom gorgeously tiled and with big fluffy white towels (my Achilles heel when it comes to hotels! ), and a 100% home-made dinner featuring a regional and delicious fresh corn soup, meat and vegetable empanadas, fresh homemade bread, a large vegetable omelet, a traditional scrambled egg, milk, sugar and vanilla dessert (sounds strange, but amazingly good), and as much of their vineyard wine as I could handle (which turned out to be two glasses). We even had our own personal waitress, as we were the only guests. The breakfast table was even more spectacular: Fresh yogurt, butter and cheese made in the region, homemade cakes, breads, jams and jellies, ‘tuna’ fruit from a cactus grown on their property as well as grapes, pears, sliced meats, and endless quantities of tea, quality coffee and fresh juice. All on a shady terrace overlooking the pool and mountains, with the house cat wrapped around our ankles. I would have loved to stay another day, but we had a big road to tackle and it was time to go. 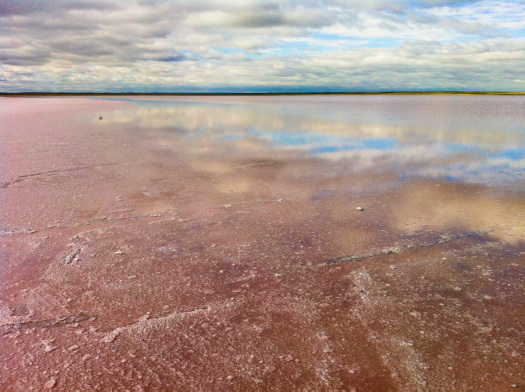 Stopping at a salt lake while back on the road from Mendoza to San Juan, then north to Rodeo, zigzagging our way south, east and north again to the province of Salta, mentioned above. 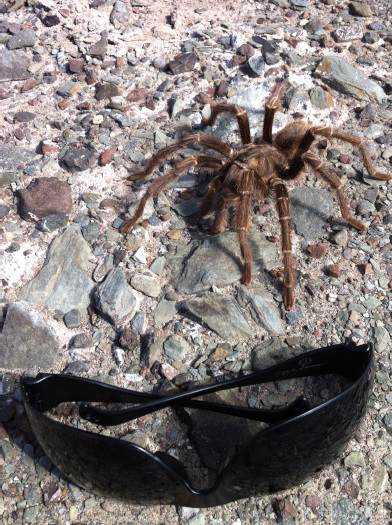 Yes, that tarantula really is nearly the size of my sunglasses! We would see several that day, and one snake. The landscape in this region (La Rioja) reminds me a little of Cappadocia in Turkey. Free camping at Jachal. Possibly the worst night we’ve ever had due to dozens of partying kids. They didn’t stop until 11 AM the next day! A highlighted series of green ant highways ran through our camp. Front flat tires! That was the smaller of the thorns. Changing my first front flat. Note tha lack of helmets. Ands kids on bikes. Having fun on our bikes! Sunset at a campground near Chilecito. Again, lots of partying kids, so we packed up at 1am, rode an hour, and camped by a desolate dirt road. Great little hotel near Cafayate in Argentina, and very cheap at only $30 night! Picking grapes at dinnertime at the hotel’s little vineyard. We were told to eat as much as we could! La Paya hotel near Cachi, Argentina. An oasis paradise in the mountains. My heaven: an entire percolator of great coffee all for me! I loved all the photos of high Andean roads , plateaus and Rivers, and tales of your water crossings! So glad you found a haven at La Paya hotel, though it had to brief. 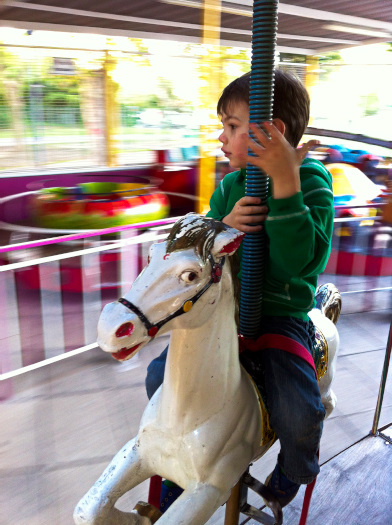 In all, with Buenos Aires ,and Rosario for family catch -up, what a world of experiences on a mini- motorcycle trip.